Over 1.5 million carers in the UK support someone with mental ill health and many of these carers are coping over long periods with difficult, complex and stressful situations. Caring for someone with mental ill health can be an unpredictable experience as you may not know when a crisis could arise or how to deal with it when it does. It can be especially difficult to cope with behaviour that is changeable and challenging, particularly if the person you care for does not recognise that they need help. Some people with a mental ill health condition will not accept help and treatment from services and this places an even greater load on carers. Mental health carers face particular challenges around issues of confidentiality and consent which can get in the way of vital information sharing between professionals and carers. There continues to be a degree of stigma and shame associated with mental ill health and many carers also experience this, which makes it even harder to identify and come forward as a carer. The ‘invisibility’ of mental illness can mean that many carers are easily overlooked and their role as a carer is hidden or unidentified which then prevents them from accessing the support available for carers. The intensity of caring for someone with mental ill health often has a significant impact on the carer’s ability to work, socialise and live their life to the full. Without adequate support, mental health carers can feel isolated and locked into their caring role. Many express fear or uncertainty as to how the person they support will be if they are not around to care for them. Many carers also experience guilt when they consider how they might be able to resume aspects of their own life. All of this can impact greatly lead to mental ill health for the carer themselves. With the right information and support, mental health carers can minimise the difficulties they face. Our caring for someone with mental ill health page provides carers with the latest news and information relevant to them. Carers assessments offer carers a ‘doorway’ to support and are the mechanism through which carers can discuss how the caring role is impacting on them and the sources of support and breaks available. You can request a carers assessment by conatcting Derbyshire Carers Association on tel: 01773 833833 or use their website contact form. Many carers find it helpful to talk to other people who are experiencing similar situations and a number of mental health carer groups providing this kind of support operate in Derbyshire. 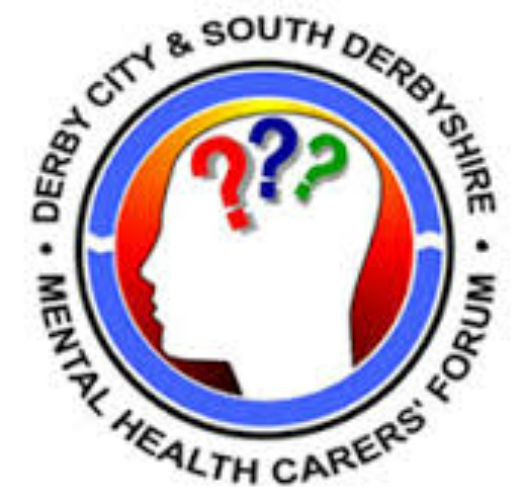 Both North Derbyshire Mental Health Carers and Derby City and South Derbyshire Mental Health Carers Forum run groups at venues around the county. You can also follow both groups on Facebook. You can also search our carers directory for other services for mental health carers. The Mental Health Forum is a national website where mental health carers can talk to other carers and get help and advice. If you struggle to get out and about, online forums are great for connecting with others in a similar situtation. Mind Legal Line - tel: 0300 466 6463 between 9am and 6pm, Monday to Friday. Legal information and general advice on mental health related law. We've also got local crisis advice and phone numbers on our carer in crisis page. Carers may not always find out what they need to know about the person they are caring for. This checklist put together by the Royal College of psychiatrists is designed to help you get all the information you need about the diagnosis and treatment of the person you care for. Advocacy is support to help you have your say, secure you rights and have your interests represented. You can find out more about advocacy, for you and the person you care for in our carers rights section. 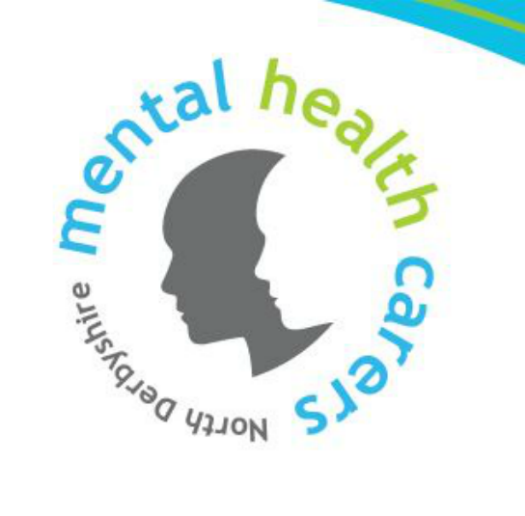 Derbyshire Healthcare Foundation Trust provide mental health services in Derbyshire. They also support carers and have recently achieved the 2 Star Triangle of Care Award for how they work with mental health carers. You can find out more about this, plus general information and advice, on their website. Emergency planning - what would happen if you were suddenly unable to care due to an accident or illlness? Also see our info on emergency planning top tips blog and the Carers Emergency Card scheme. The Herbert Protocol is a national scheme which has been introduced by Derbyshire Constabulary and other local agencies. The scheme encourages carers to compile useful information which could be used in the event of the person they care for going missing. The Herbert protocol form records all vital details, such as medication required, mobile numbers, places previously located, a photograph etc which will help locate the person if they ever go missing. In the event of your family member or friend going missing, the form can be easily sent or handed to the police to reduce the time taken in gathering this information. Safe Places are public places such as libraries, shops, GP surgeries and other public buildings in Derbyshire where people can go if they feel scared, threatened or are in trouble while out and about. If the person you care for is able to go out alone, the scheme may give you re-assurance that they would be able to get help if they needed it and stop you worrying about them so much. The scheme used to be only for people with a learning disability, but now anyone can use it including those with mental ill health and dementia. Police Care Card - Derbyshire Police have set up a new system and telephone number for people who have difficulty using the phone, have limited verbal communication, low levels of confidence or difficulty holding the handset for a long time. This can assist people with mental ill health as they may not feel able to answer the police call handler's questions. Having the care card and using the special number will alert the call handler that the person calling may need support even if they are struggling to communicate and say that the problem is. Let your GP know you're a carer - carers are more likely to suffer health problems than non-carers. Letting your surgery know you have a caring role may help you access services to support your wellbeing. Benefits for carers - we've got a page with advice about benefits for carers but you can get advice on all benefits, including suport at tribunals, from the Derbyshire Welfare Rights Service. Have a browse around our website for more helpful information and advice.